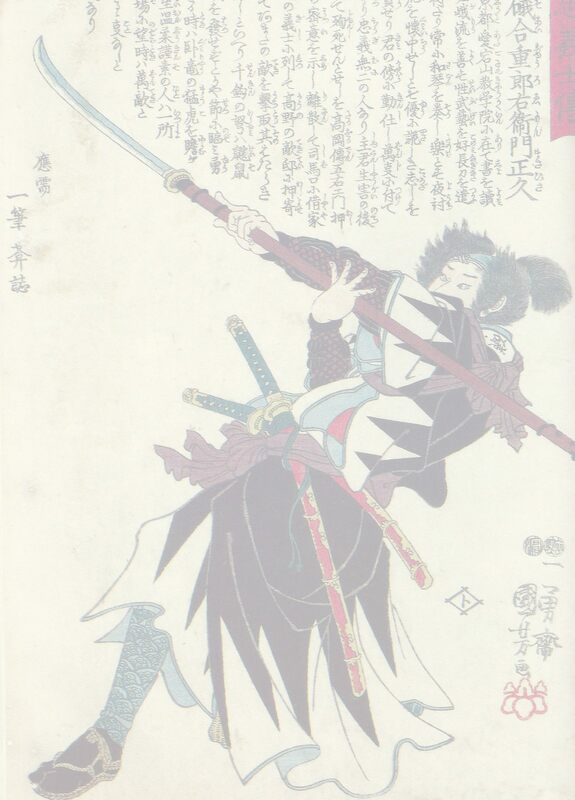 Form: Nadekaku gata, (square with rounded corners) with 2 hitsu-ana.. Size: 74,3 x 69,2 mm. Nakago ana: 26,9 x 8,1 mm. Material: Steel with inlay of gold and silver. 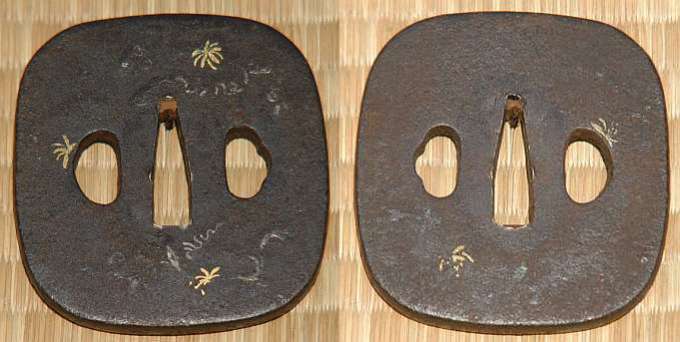 Description: Simple tsuba, Higo style, with inlay of gold leaves. Some silver traces. With 2 hitsu-ana, (opening for kozuka and kogai).